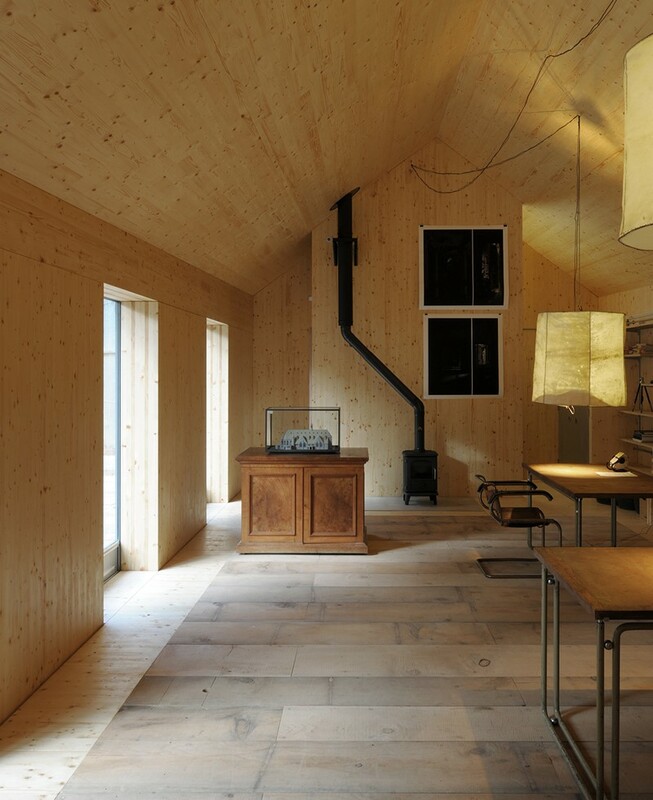 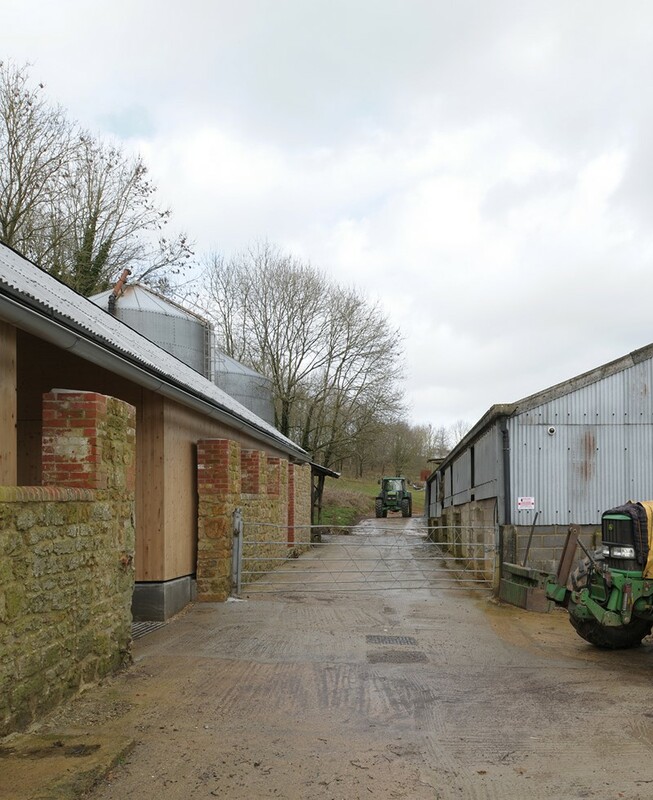 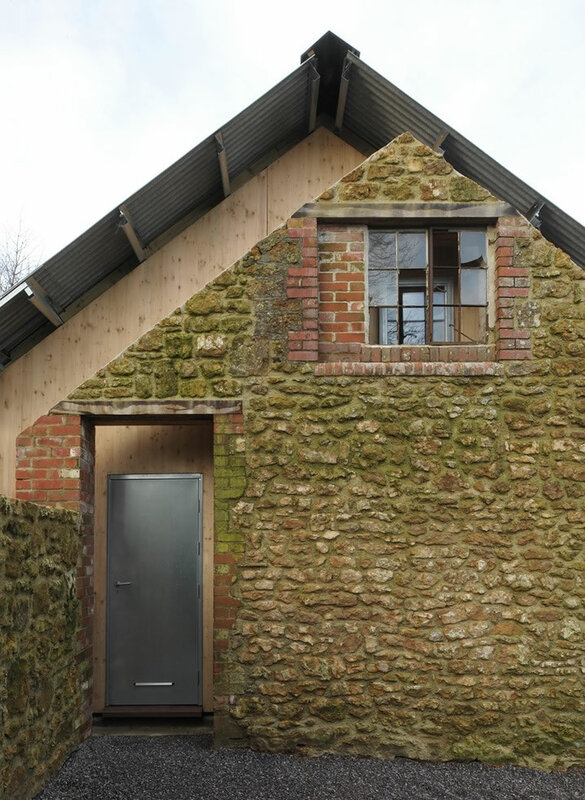 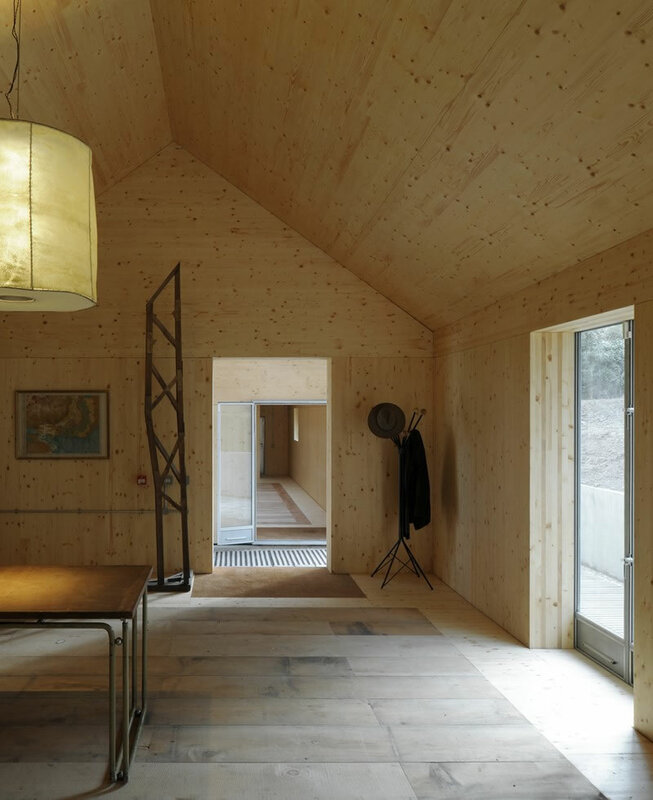 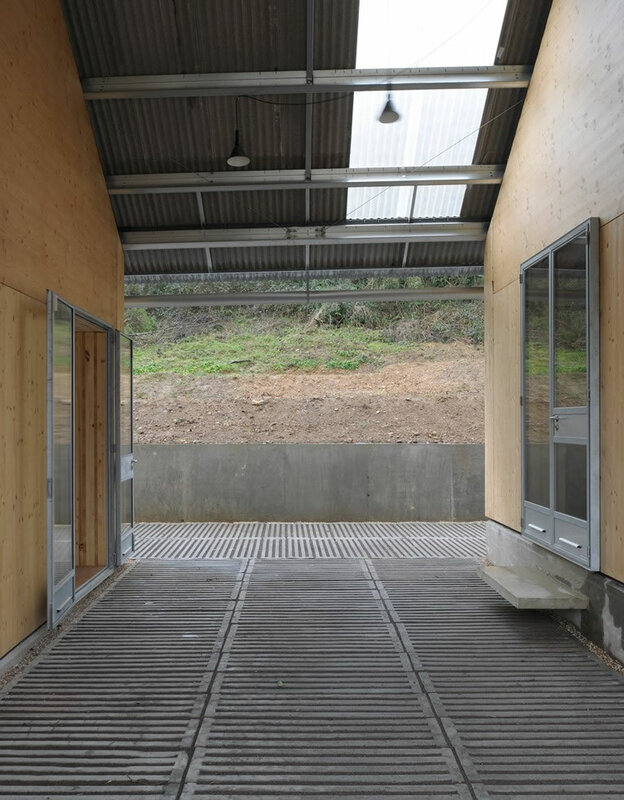 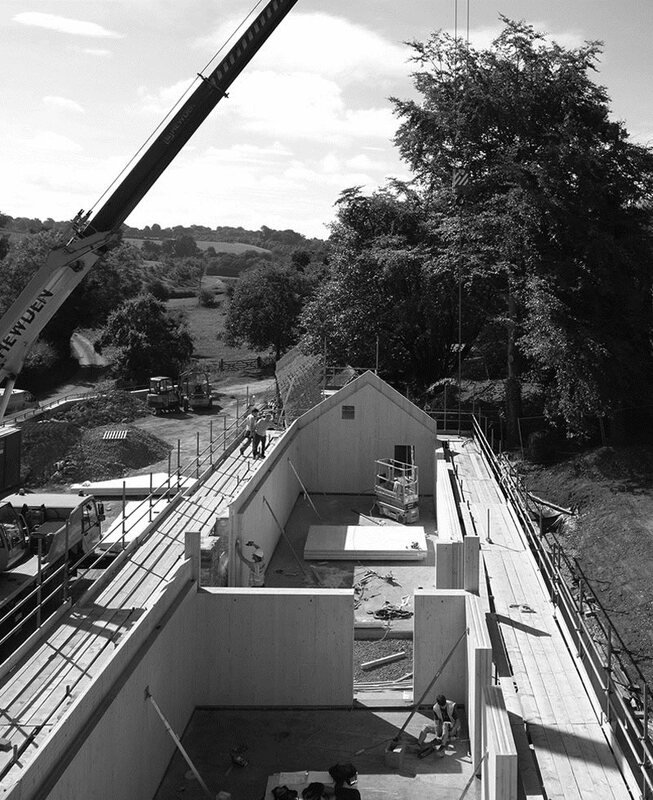 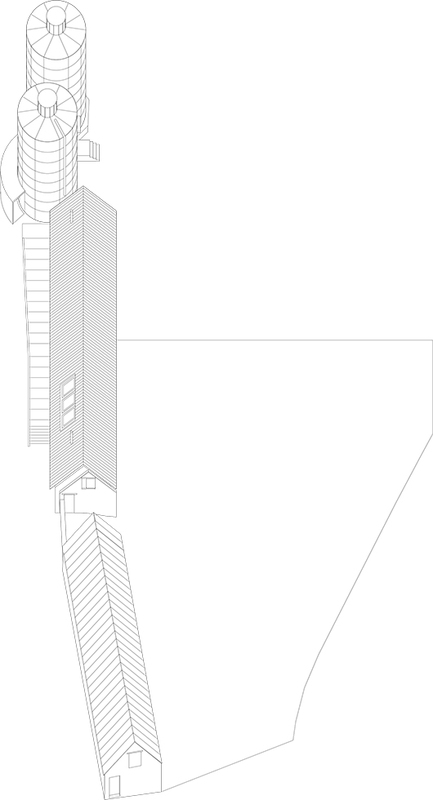 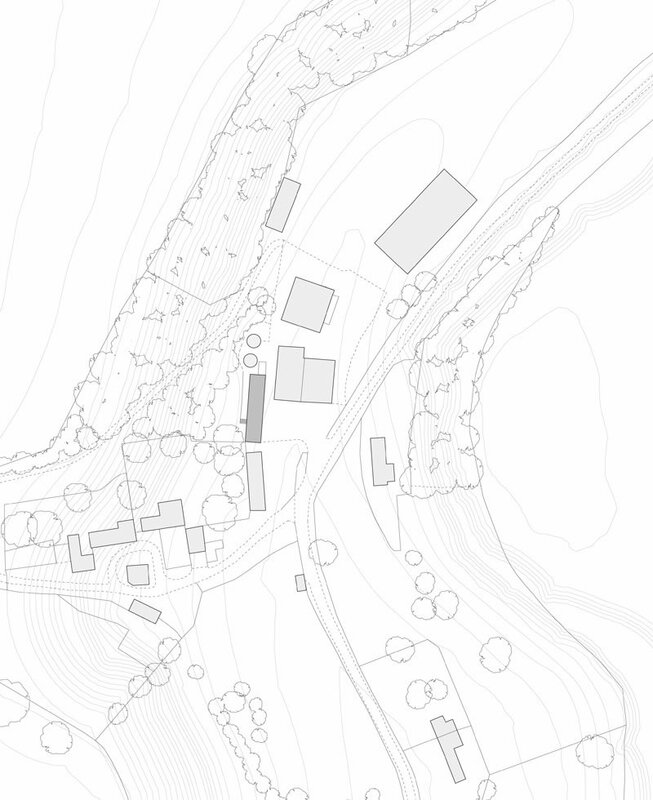 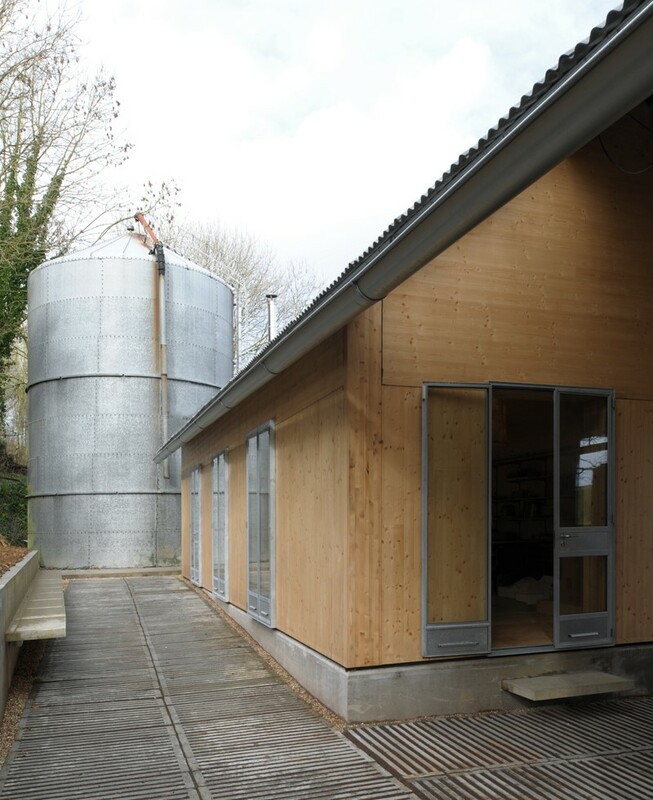 Located within a working Somerset farmyard, the new building provides an architecture archive for a private collector. 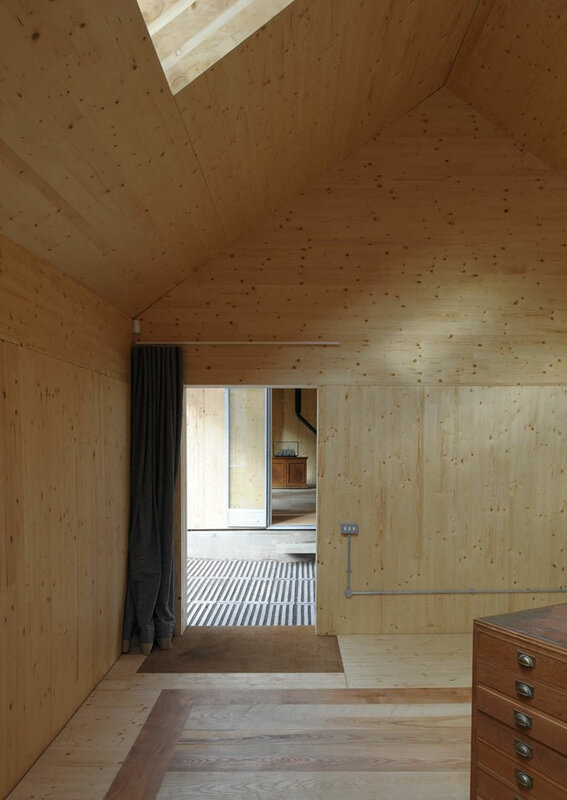 Inside the remaining walls of an old barn, two timber structures have been inserted with a single new over-sailing roof. 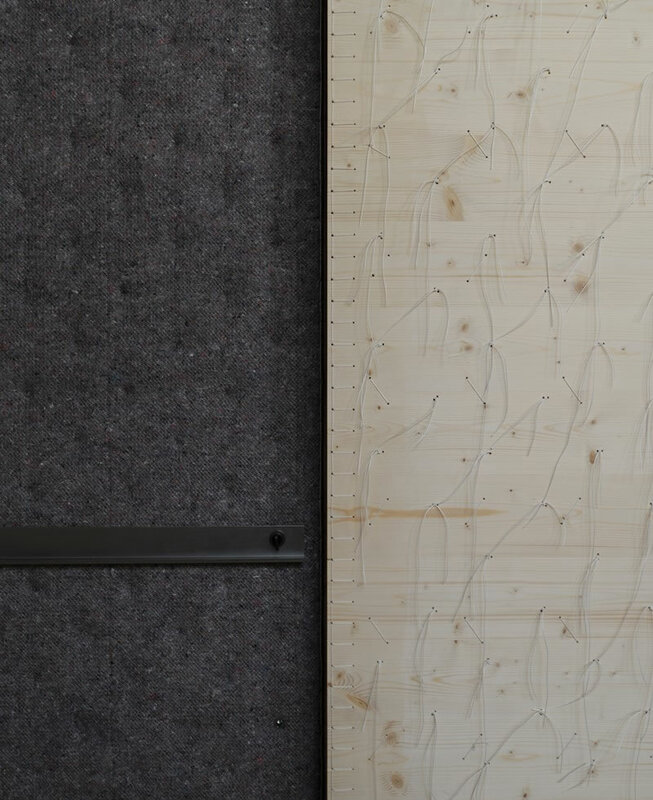 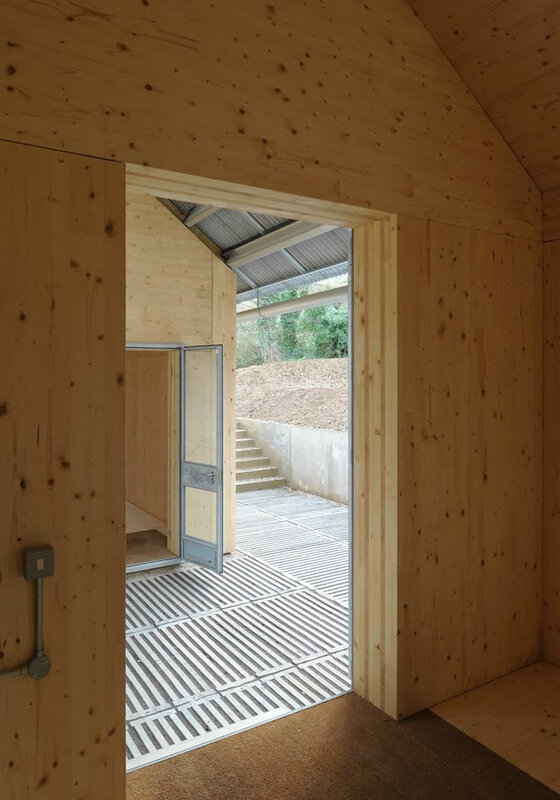 The building shell is constructed of a single layer of solid cross-laminated timber, without insulation, external cladding or internal lining, creating a stable internal environment for the archive drawings. 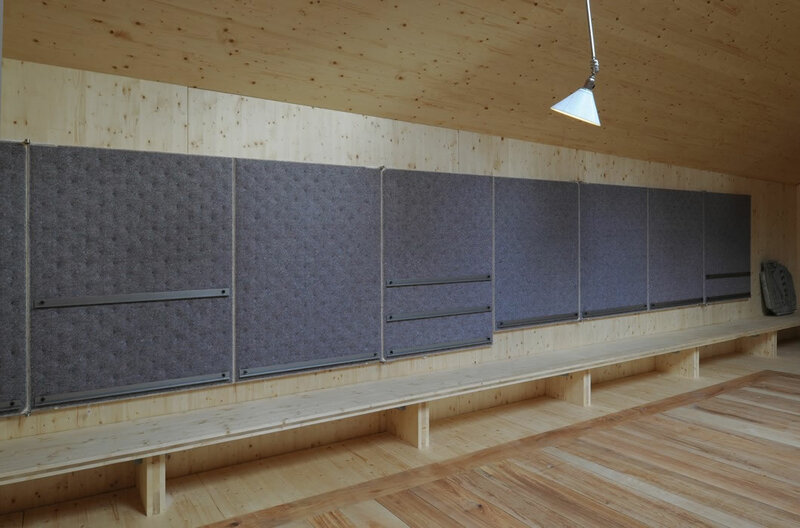 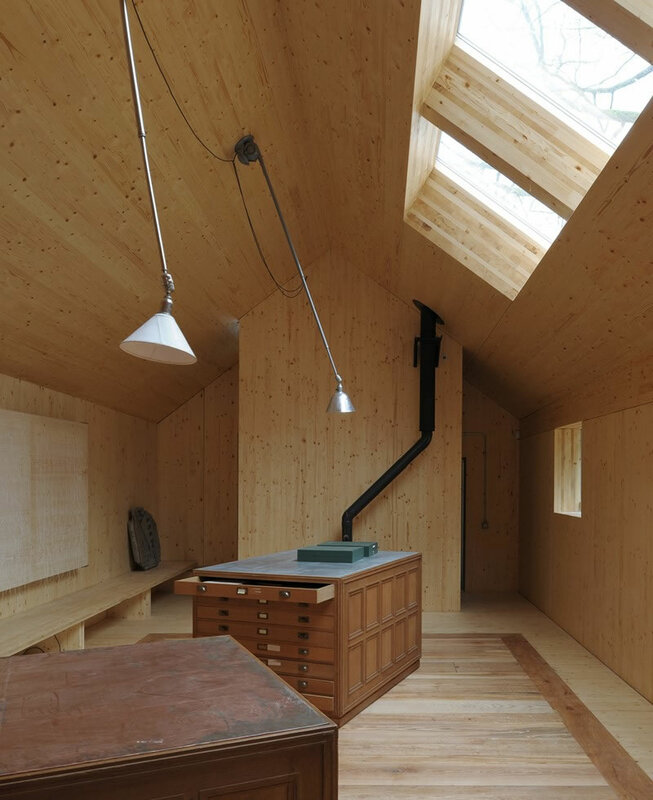 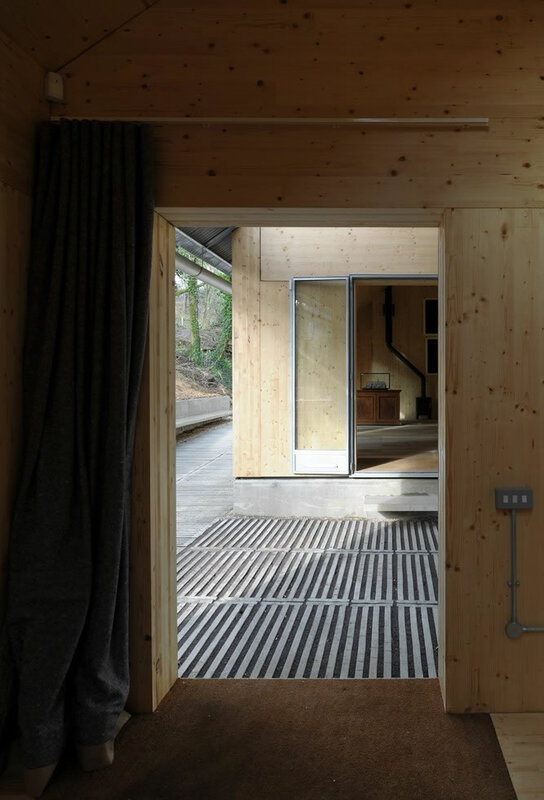 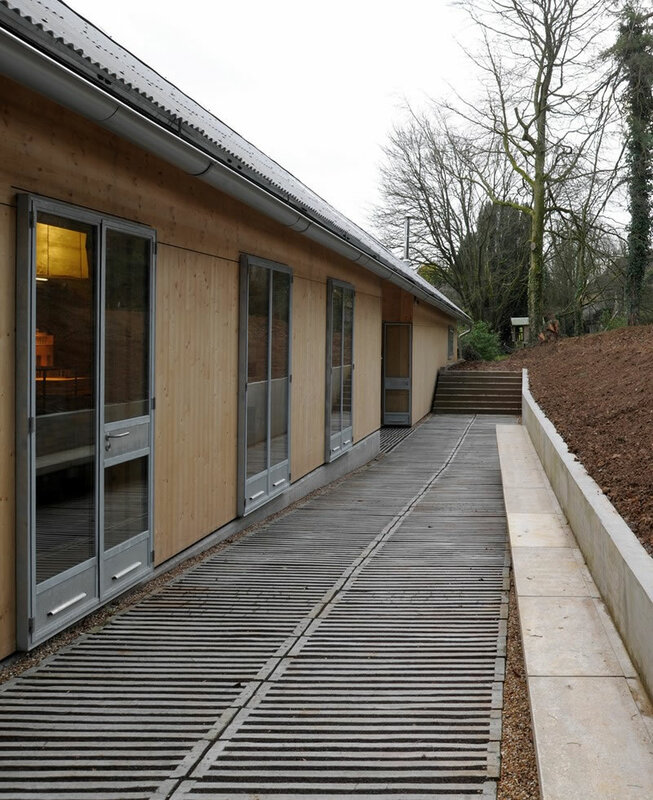 In contrast to the engineered timber, the buildings are fit-out with Cedar, Ash and Beech using timber felled from the surrounding woodlands.